Last week I received, my parcel for the Secret-Post-Club from the lovely Baby Budgeting. 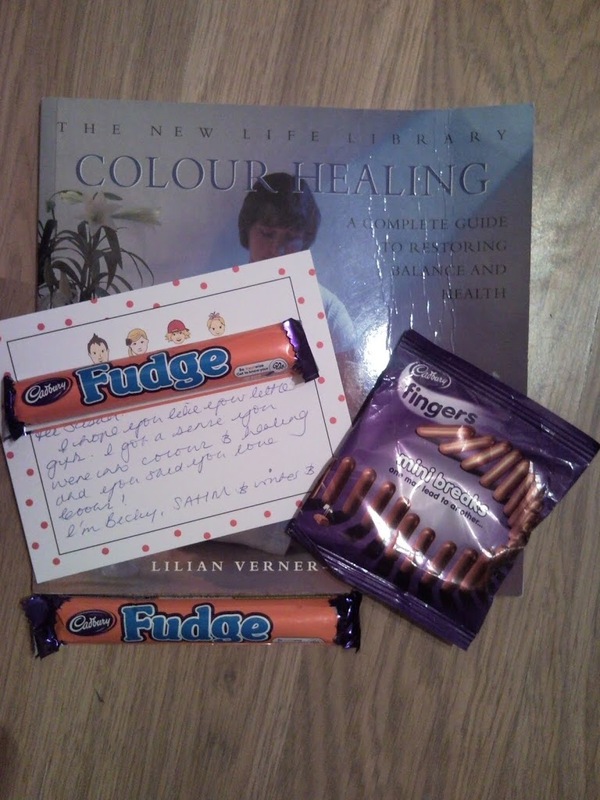 My parcel contained some always welcoming chocolate, a book on colour healing and a lovely hand written note. The later I am sure I haven’t received in many years. Not only was I introduced to a new friend, but I was introduced to a new hobby. 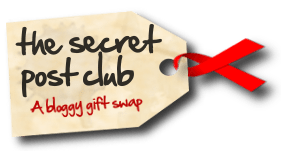 Thank you so much to both Baby Budgeting for the parcel but also to Notes From Lapland for creating and co-ordinating the Secret Post Club. Surprises – Without an occsion that would make this expected or less amazing, do this for a friend who has been feeling a little ‘blue’. ooh that does look interesting. and the chocolate…yum yum.